Robs Webstek: Francis Baring, sculptor. 'No 18. Gretchen. Marble by Lieut-Col Francis Baring'. Stereoscopic card. Souce: www.worldofstereoviews.com. 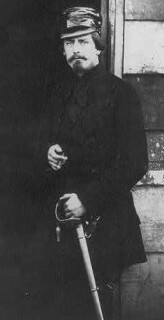 Francis Baring (March 16, 1833 – February 21, 1895) was a captain serving in the Crimean War. He was attached to the famous Light Division. Last year I posted a photo of him made by Roger Fenton. He gained the rank of Lieutenant-Colonel in the service of the Scots Fusilier Guards. Left: 'Lt Col Francis Baring'. CDV size photograph. Source: www.the-eastern-window.com. Right: Roger Fentons photograph, 1855 (cropped version). 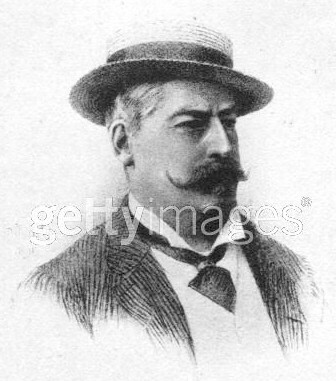 He was a member of the famous Baring family. In 1762 his great-grandfather founded the Barings Bank; the oldest merchant bank in the UK until it was ruined by the speculations of one of its employees, Nick Leeson (losing $1.3 billion in 1995). 'A study of Colonel Francis Baring (1833 – 1895)' ca. 1865. Source: Gettyimages, from the Hulton Archive. Ray Norman, from www.worldofstereoviews.com mentioned he was a sculptor. 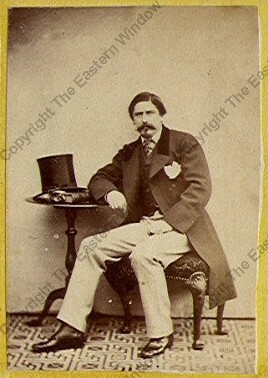 His website features the stereoview card shown at the top of this post. Apparently Francis Baring exhibited a marble figure titled 'Gretchen' in the 1873 International Exhibition in London. 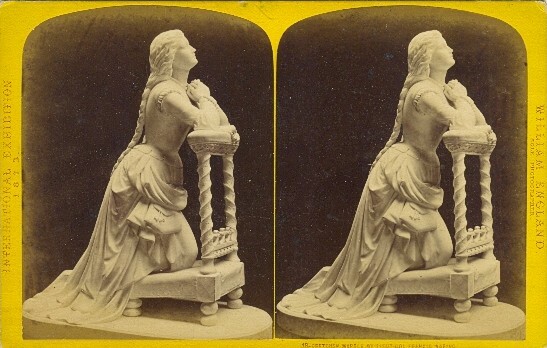 This stereoview was made by William England; a successful photographer specialized in stereoscopic photographs.